Memorial Day weekend and wine tasting go together like cheese and crackers. Celebrate the holiday weekend in style– wine lovers throughout the Portland area should hit the 99W down to Newberg, the gateway to the Willamette Valley’s wine country. 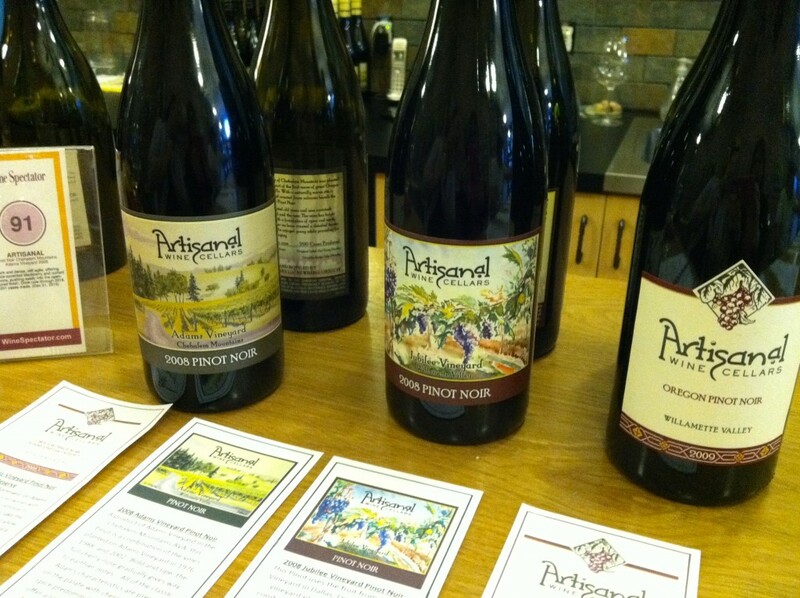 Recently, a number of wineries have opened tasting rooms of all shapes and sizes in downtown Newberg. Portlanders, go get out of town by spending a day sipping wines, noshing on appetizers and chatting with those passion about making wine. Enjoy libations made from grapes grown across the state, including dry Riesling, Rosé, Pinot noir, Cabernet Sauvignon & Gamay noir. Although Newberg is just a short drive to the south, you’ll feel transported to an era where hospitality combined with good wine and food can rejuvenate your soul. So don your walking shoes and leave the car parked as you discover wine gems from one end of town to the other. Tour these tasting rooms in the suggested order, finishing your afternoon off with an early dinner in an adorable Victorian home. Come enjoy Newberg’s newest tasting room while snacking on light appetizers and sipping small production wines made with grapes from Southern Oregon, the Willamette Valley and the Red Mountain region in Washington. Their Marionberry port-style dessert wine is almost gone so be sure to get a bottle before it’s too late. Chehalem Wines is celebrating the holiday weekend with several additional wines open not always available for tasting, paired with cheeses and light appetizers. Anam Cara is pouring new releases of their Riesling and Rosé, along with their estate Pinot noirs. They are offering gourmet cheeses while live jazz fills the tasting room. Wine bottle crafts will also be available for purchase. Celebrate the first anniversary of their downtown Newberg tasting room. Artisanal Wine Cellars will have a number of their newly released wines, including the long awaited 2009 Vintage Reserve, open for tasting. Light appetizers will be served that complement their wines. A unique dining experience set in a classic Victorian home in the heart of old town Newberg. Paul and Dustin set out to create a true neighborhood driven restaurant similar to those found along many villages in France, Italy and Spain. A comfortable gathering place that is known by those in the local community and seeming to be sought out by travelers from both near and far.